conception as a fully-fledged European Border Police Corps. The new law, with its enhanced rules on removal to non-EU countries, will be approved in parallel to changes to the EU’s visa code aimed at readmitting more irregular migrants to non-EU countries, discussed here. expected to become operational this summer. 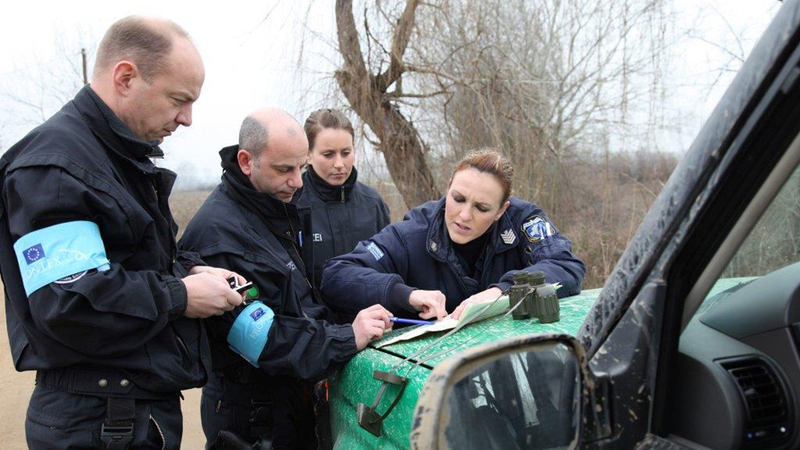 in border surveillance, returns, and cooperation with third countries. deploy border guard teams in a short time-frame. exclusive and direct control of Frontex. return monitors and preparing the return decisions. visits to monitor the situation on board. Directive as these have been transposed into national law. enlarging its scope to cover most IBM components. institutions, agencies, and law enforcement authorities. present the grounds for their applications. on the rights of persons, beyond the right to the protection of personal data. and the individual complaints mechanism. European Parliament to attend its meetings. and the implementation of the Fundamental Rights Strategy. 2018 additional staff to support the FRO, but this only includes junior staff. commitments, like in the case of the number of border guards. mechanism is now expanded to cover operational activities in third countries. include ‘referral to civil or criminal justice procedures’.